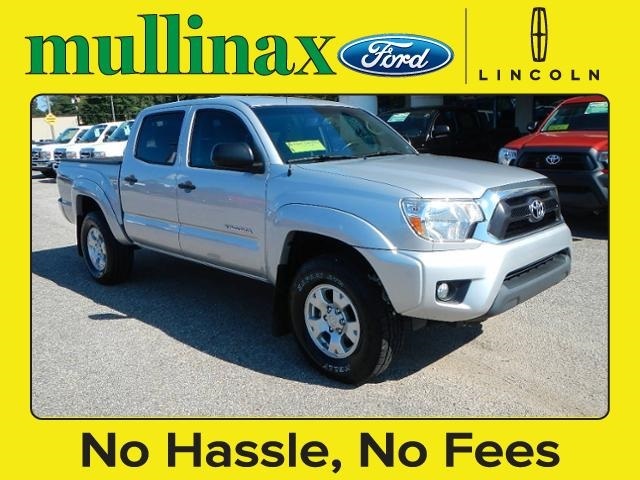 Tacoma SR5 4X4, 1-OWNER 2011 TOYOTA TACOMA DOUBLE CAB,4.0L V6, SR-5, 4X4,.AUTOMATIC, CUSTOM WHEELS, FRONT PUSH BAR, RUNNING BOARDS,CRUISE CONTROL, POWER WINDOWS AND LOCKS, Upfront Pricing, No dealer fees!! !, 16' x 7J+30 Style Steel Disc Wheels,3.727 Axle Ratio,6 Speakers,ABS brakes,AM/FM radio,AM/FM/CD w/6 Speakers,Air Conditioning,Anti-whiplash front head restraints,Auxiliary Audio Jack,Brake assist,Bucket Seats,CD player,Driver door bin,Dual front impact airbags,Dual front side impact airbags,Electronic Stability Control,Front Bucket Seats,Front Center Armrest,Front anti-roll bar,Front reading lights,Front wheel independent suspension,Illuminated entry,Low tire pressure warning,MP3 decoder,Occupant sensing airbag,Overhead airbag,Overhead console,Passenger door bin,Passenger vanity mirror,Power door mirrors,Power steering,Power windows,Rear step bumper,Speed-sensing steering,Split folding rear seat,Tachometer,Telescoping steering wheel,Tilt steering wheel,Traction control,Traverse/Edge Cloth Seat Trim 1-OWNER 2011 TOYOTA TACOMA DOUBLE CAB,4.0L V6, SR-5, 4X4,.AUTOMATIC, CUSTOM WHEELS, FRONT PUSH BAR, RUNNING BOARDS,CRUISE CONTROL, POWER WINDOWS AND LOCKS, Upfront Pricing, No dealer fees!!! Tacoma SR5 4X4, 1-OWNER TRADE IN!!!! 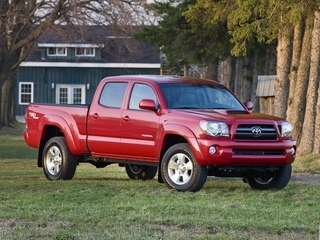 2012 TOYOTA TACOMA SR-5 DOUBLE CAB, 4X4, V6, AUTO, AC, CRUISE CONTROL, POWER WINDOWS AND LOCKS, Upfront Pricing, No dealer fees!! !, Tachometer,CD player,Air Conditioning,Traction control,AM/FM radio: SiriusXM,AM/FM/CD w/7 Speakers,Tilt steering wheel,Speed-sensing steering,Brake assist,Illuminated entry,Power steering,Telescoping steering wheel,Dual front impact airbags,3.727 Axle Ratio,Power windows,Passenger door bin,ABS brakes,Dual front side impact airbags,Front anti-roll bar,Rear step bumper,Electronic Stability Control,Overhead airbag,Split folding rear seat,16' x 7J+30 Style Steel Wheels,MP3 decoder,Power door mirrors,Front wheel independent suspension,Low tire pressure warning,Occupant sensing airbag,7 Speakers,Front reading lights,Passenger vanity mirror,Overhead console,Front Bucket Seats,Driver door bin,Anti-whiplash front head restraints,Front Center Armrest,Fabric Seat Trim 1-OWNER TRADE IN!!!! 2012 TOYOTA TACOMA SR-5 DOUBLE CAB, 4X4, V6, AUTO, AC, CRUISE CONTROL, POWER WINDOWS AND LOCKS, Upfront Pricing, No dealer fees!! !